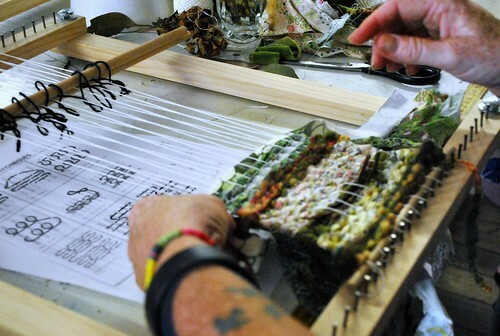 We held a weaving workshop in the studio last weekend using our new weaving loom kits. They are smaller than the frames we have supplied for previous workshops which makes them more managable and quicker to produce a finished piece. 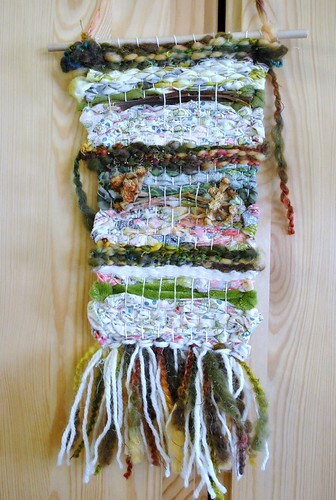 Weaving is a great way to use up scraps of yarn and fabric. You can plan your colours and pattern beforehand or choose as you go. 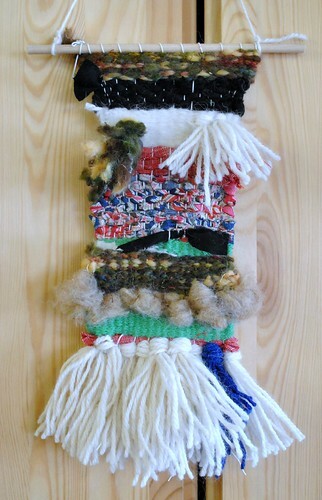 Each student chose very different colours and produced wonderful little wall hangings. 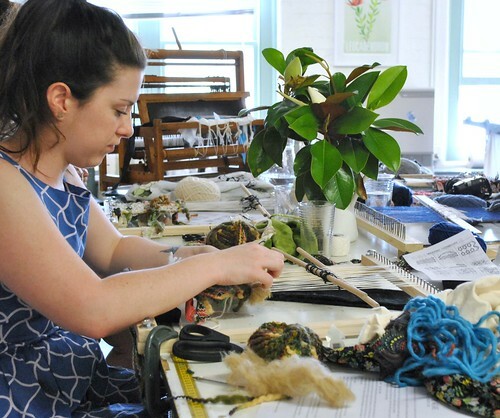 You could even weave in unusual items into your piece such as plants like the one above. 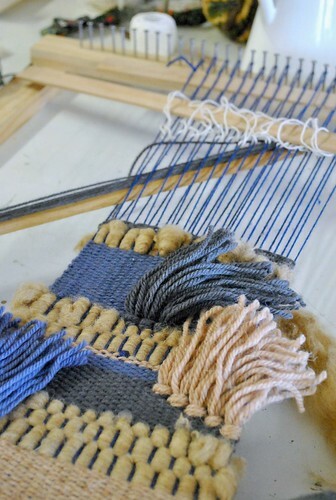 If you're interested in learning the art of weaving our next workshop will be held on February 14th from 10am until 1pm. 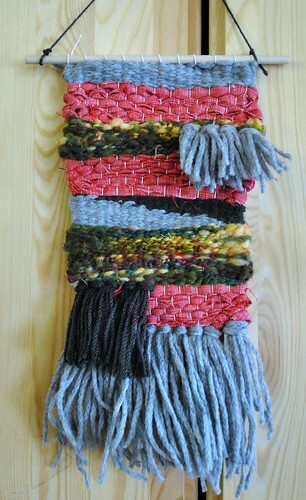 You will receive your own weaving kit to take home so you can continue practicing your new skill. 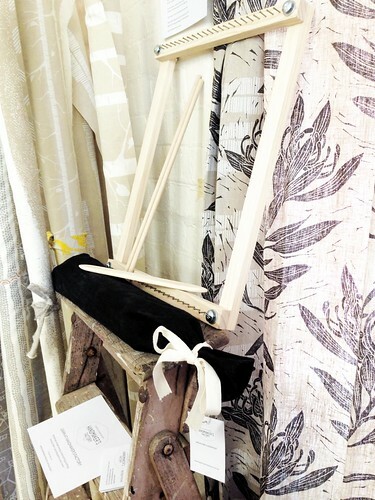 Our looms are handmade in our studio in Melbourne. 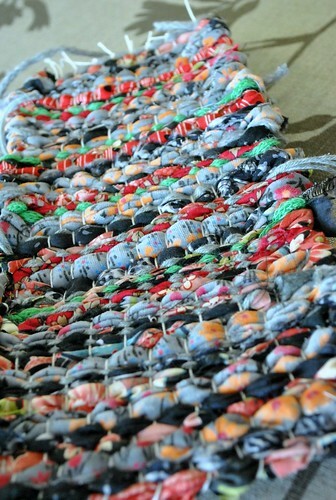 They can be dismantled for easy storage and transportation and come in their very own hemp & organic cotton storage bag. The kits cost $75 on their own but are included in the cost of the workshop. 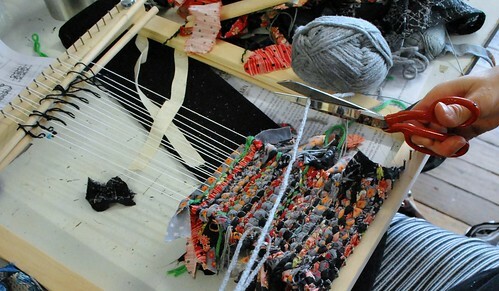 If you would like to purchase a weaving loom kit separately you can find them here.